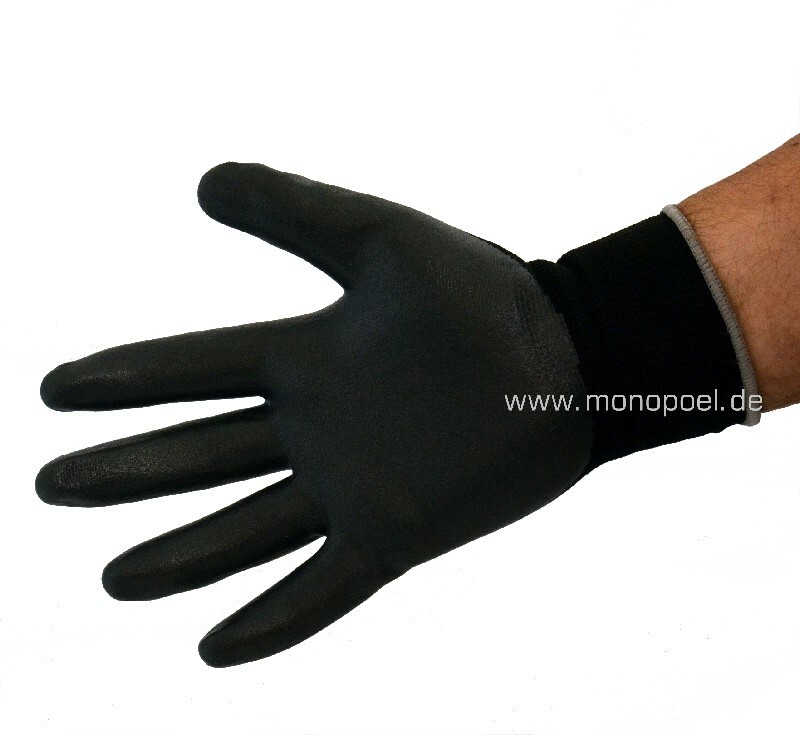 gloves for mechanics, fine yarn, palm PU-coated, black. 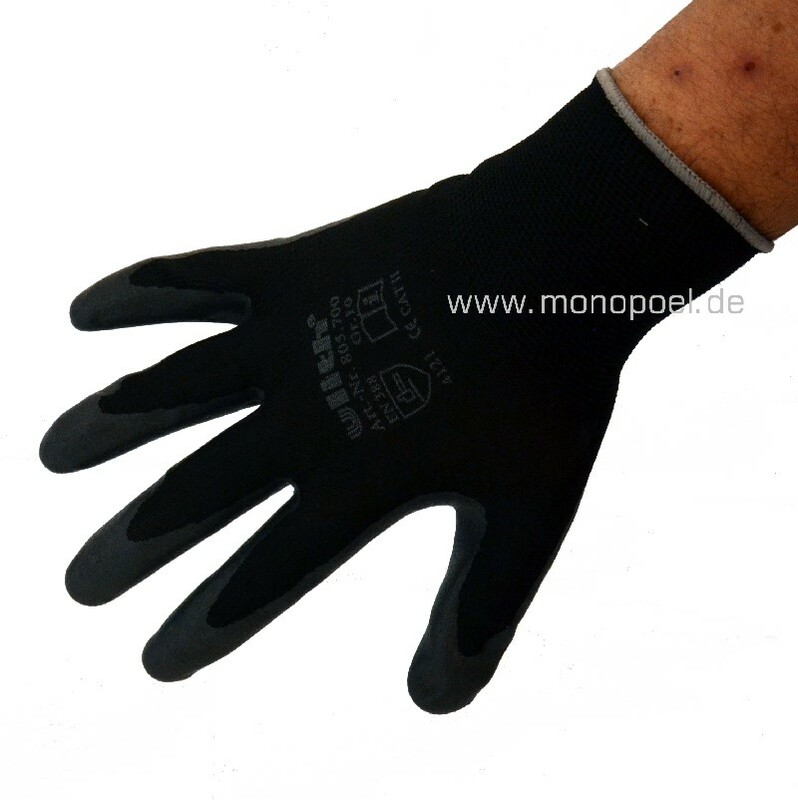 By the liquid-repellent coating on the palm, the skin is protected, the fine yarn and the thin coating allow a good haptic sensation and a secure grip. We recommend: no work at a vehicle without proper gloves. Note: due to the uncoated back of the hand, these gloves are not suitable for oil changes, etc. For this purpose we recommend our yellow latex gloves arb-hand-10 .